The New Year is looming and it won’t be long before a lot of people will start looking for motivation and strategies to change certain parts of their lives. But there is a problem with motivation – it doesn’t work. Not long-term anyway. Creating lasting change in your life demands something more. That “something more” is called SELF-DISCIPLINE. And at the heart of self-discipline is what I call EFFECTIVE HABITS. But we’ll get to this later. First, self-discipline (or discipline, for short). What is the difference between motivation and self-discipline? You might have thought they are sort of the same, but, the truth is they are not. So what is the actual difference between the two? Well, firstly, it’s important to note that motivation is very important and helpful for making some changes or achieving certain goals. However, motivation typically doesn’t last. It is usually very short lived. When you rely on motivation to create and sustain any change you’ve made in your life, you will most likely be disappointed. Because of the fact that motivation isn’t a reliable source of energy – in other words, it fluctuates. Furthermore, as the definition (above) states, motivation is usually a very strong desire and energy created by certain internal or external factors. It is therefore reliant on something outside of you. This, by application, means that should the external or internal source of motivation be absent, motivation will also be absent. And when these sources are present, motivation is also present. It is, therefore, a very fleeting energy source for making some real lasting changes in any area of your life. 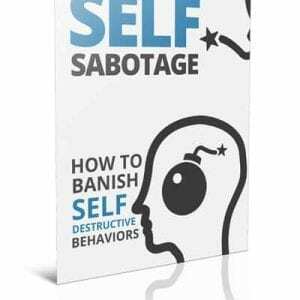 Self-discipline, on the other hand, does not rely on any internal or external sources to create change. Self-discipline, as per definition, is the ability to control yourself and to make yourself do what’s required or behave in a particular way WITHOUT needing anyone or anything else to motivate you in order to create the desired change. Essentially, self-discipline is doing the thing that needs to be done, regardless of whether you feel like doing it or not. Now, at the heart of self-discipline, is what we call effective habits. These are essentially consistent and persevering actions, behaviours, or routines that help you achieve any goal – irrespective of how you feel from day to day. Motivation essentially relies on feeling, whereas self-discipline is built on habits. And that makes all the difference over time, because no matter how focused you are or how much you want a certain result in your life, we all, at some point or another, lose the drive to keep going. But, if our long-term strategy is reliant on effective habits, those habits and routines will get us through the periods of feeling unmotivated or deflated for whatever reason. So, looking forward to this new coming year, it is important to start getting some clarity around which areas you would like to create different results in. Once you have an idea, it then becomes very important to start thinking about the types of effective habits you will need to create the change required to achieve those different results. Many people make the mistake of wanting to do more things in order to create a new result. But, sometimes it is not about doing more, but rather doing less of what isn’t working. Replacing what isn’t working (behaviours, actions and habits) with what could work, or typically does work, or make all the difference in the long run. And once you get into the habit of doing something over and over, that repetition will carry you forward even when you feel like giving up or not continuing. And listen, it doesn’t matter whether we are talking about losing 20 kg, or starting a new business, or improving your relationship, or becoming healthier. All of these goals demand the same process if you want to succeed in the end. Learning from the past, you would have noticed that whenever we start out to make a change, we tend to be motivated at the beginning but eventually lacked the discipline necessary to carry on when that motivation flagged. Motivation is good to start with, but self-discipline is the key to the kingdom. Now, self-discipline requires much more effort than finding motivation every now and again. I mean, I can literally psych myself up by watching some inspirational and motivational video clip on YouTube, but it doesn’t last. Developing self-discipline, however, takes planning, effort, and execution – consistently and over time until it becomes automatic and apart of your life. So, again, if you’re serious about creating some changes in your life, you want to start with developing self-discipline. 1. You’ll never be free without self-discipline. Like I said earlier, if you require motivation to do something, you’re at the mercy of your emotions, and emotions are fleeting. At the end of the day, you will find that there are too many things left undone if motivation is your only necessary means to take action. Some days you will do a lot and other days you will do nothing. That, unfortunately, is not how you create lasting change. 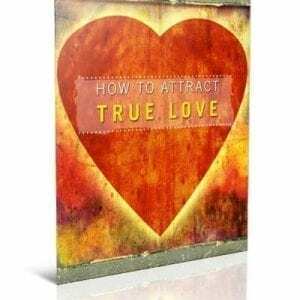 You can’t love your partner some of the time, but not all of the time, and expect a happy, healthy, and intimate marriage or relationship. To have real control over your life and yourself, discipline is absolutely necessary. But, this is also a good measuring stick. Oftentimes, and I’ve seen this a few times when working with couples, self-discipline is where one or both of the partners fall flat. 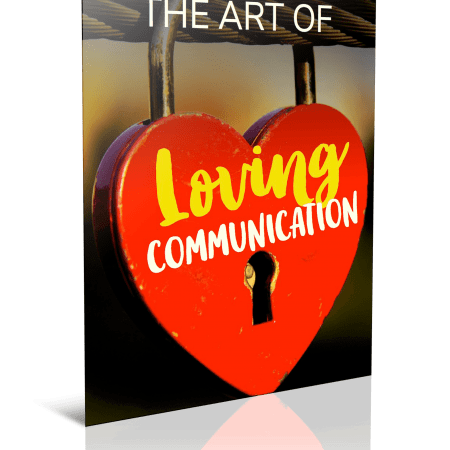 Many clients are okay with things staying airy-fairy, but the moment they are required to change certain habits and remain consistent with them, their motivation to change their relationship comes apart. It is one thing to say you are motivated to make a change, but it is something else completely, actually putting things in place required to do so. At the end of the day, the point remains, without self-discipline, you will never experience the true freedom of new results in any area of your life. Even though self-discipline is much better than motivation, it is also important to note that you can only force yourself to do something you don’t like for so long. Firstly, you need to make sure that the change you want to create in your life is an actual change you want. If you’re making changes for the sake of someone else, or because someone else demands it, you might find yourself falling short over time. It is, therefore, crucial that you make a change that you actually want to make. 3. Self-discipline is most useful for developing habits. Any habit formation requires self-discipline at first. It even requires some motivation – from an internal or external source. And that source can be one that’s either painful or beneficial, it doesn’t really matter. As long as it triggers a start in a different direction. You might even have to force yourself in the beginning. However, once a habit is established, self-discipline is no longer required as much. Because of what experts call, automaticity. For example, you don’t need the discipline to brush your teeth. You just do it because you’ve done it consistently for a long time (I hope). Now, even though you might not think about it in that way, the same principle underlies all other, more complex, habits as well. Maybe you want to work out more. Well, many fitness freaks are only that because they’ve been working out for so long that it’s become part of who they are and what they do – like brushing teeth. So, use self-discipline where it can have long-lasting effects by developing powerful habits. Those habits will get you to where you want to go. Just for the sake of argument, motivation and self-discipline can almost be the same thing too. Self-discipline is then largely the ability to self-motivate. Think about it – you wouldn’t make yourself do a task in the first place if there was no benefit to you. You either believe you’re going to receive something enjoyable or avoid something painful. That’s how we work as humans. So perhaps it would be more accurate to say that those people with self-discipline are actually those people with a high level of skill in the art of self-motivation. And those with the ability to motivate themselves can do the seemingly impossible. The person that can drag themselves out of bed on a cold, rainy morning to go to the gym is someone that is able to focus on their long-term objective (i.e. clarity). They are good at reminding themselves (self-motivation) why they need to put on their shoes and head out the door (self-discipline through habit). They focus on the benefits (looking good, or being lean and healthy) instead of the misery of getting up and facing cold, wet weather. Learning to motivate yourself is more important than any concepts of discipline, motivation, enthusiasm, and willpower. If you can motivate yourself, any goal is within reach. Every action you take or avoid is due to some level of motivation, or lack thereof. 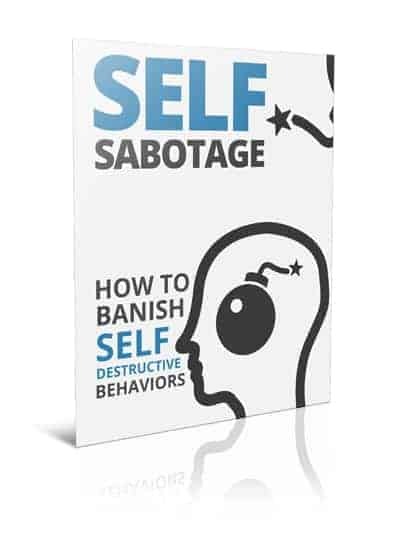 If you want to learn how to beat self-sabotage, banish destructive behaviours from your life, and reach your goals easier, then click here or the image below and get access to this how-to-guide (with checklist and worksheet). ?